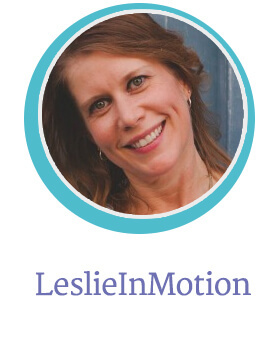 Leslie Gilbert is the owner of LeslieInMotion. 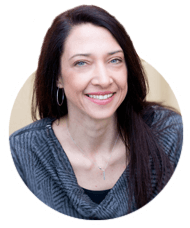 She works with women going through a life transition, focusing on helping with health, weight loss, and mindset. 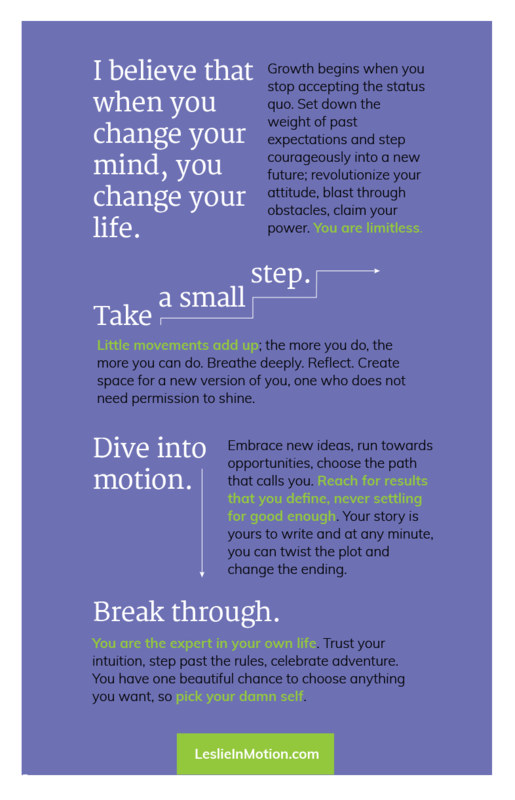 We created Leslie’s Brand Manifesto to reflect her belief that in order to change your life, sometimes all you need to do is change your mind. She believes strongly in questioning everything and that ultimately you are the expert in your own life. After working with you, my ideas are more organized, clarified and concise; it has been so helpful to have an objective, creative, perspective. Your easy-going, approachable manner makes working with you a breeze. You also don’t hesitate to say when something might not be the best move. I feel like I’ve found a great branding resource in LV Creative and I look forward to future projects!